As to myself: Married since 47 years. My 3 sons, Uwe, Jens and Henrik have been introduced by me step by step regarding the athletic combined events. Due to professional matters, and under my regret, they had to renounce in participating in competitions. 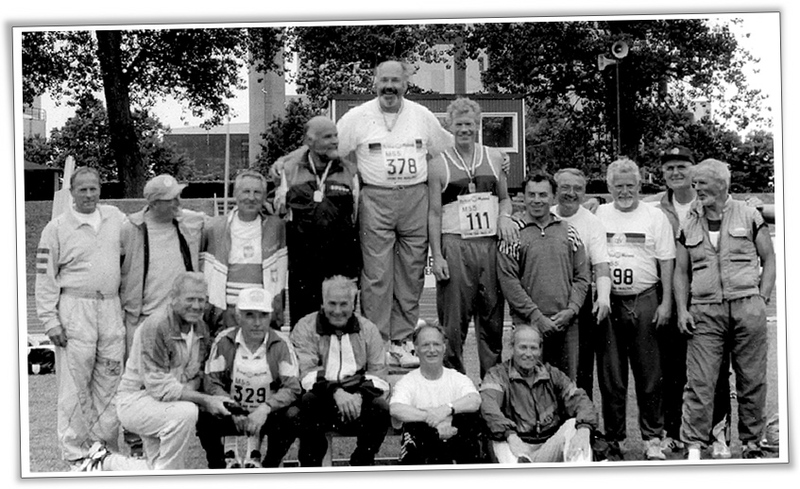 Only Jens, 3 times champion of North Germany in javelin throw, was able to compete in master categories for longer time. On the contrary, for me, born in 1938, sport was during all my life a kind of partner. First, I practised various kinds of sport. 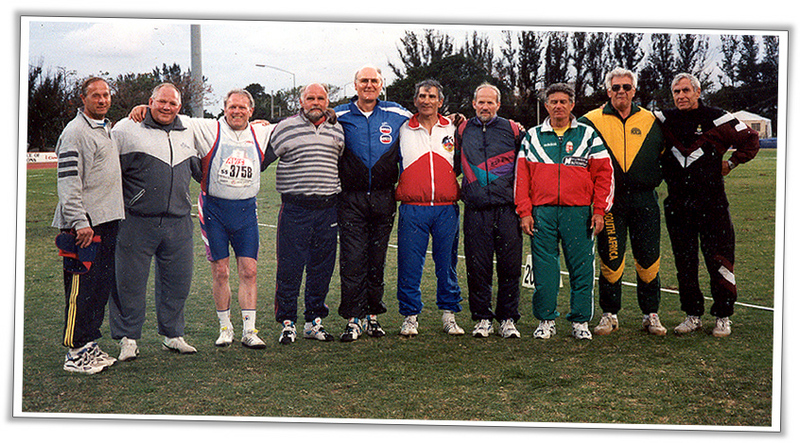 From 1949 till 1965, gymnastic, table tennis, handball, and a little bit of athletics. Said in one way: quite nice mixture, without showing up with great ambition. From then onwards, I concentrated on handball and athletics. During a certain period I participated in the combined events, my only chance to get an acceptable classification as to more important events. Unfortunately with the time this discipline represented a great strain combining with my job, and I started in specializing in throwing disciplines. In the meantime 34 years old, javelin throw became my brilliant discipline with personal best of 63,62 m.
Then it was just a question of some years in starting to compete as a master. 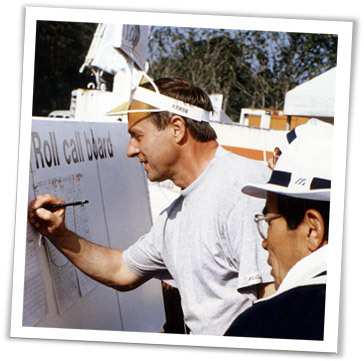 Right at this time, from 1975, it was the start that the master athletics established more and more on world level. For first time I participated in Hanover 1979, at the so called; best performance championships (today World Championships). All was brand new and in development. But this first impression has convinced me, what is the relationship under Masters or Veterans (whatever was the chosen and elected name at the length of the years). Since then, I keep best memory of 10 world- and 6 European Championships ( in 4 continents all over) . Not only as to success, mainly as to the multiple acquaintances and impressions of other cultures, (Japan, New Zealand, South Africa, etc). After a complicate shoulder operation in 2004, I had to change from javelin to the discus throw, a matter which allowed me to continue participating on international level, and sharing friendship. 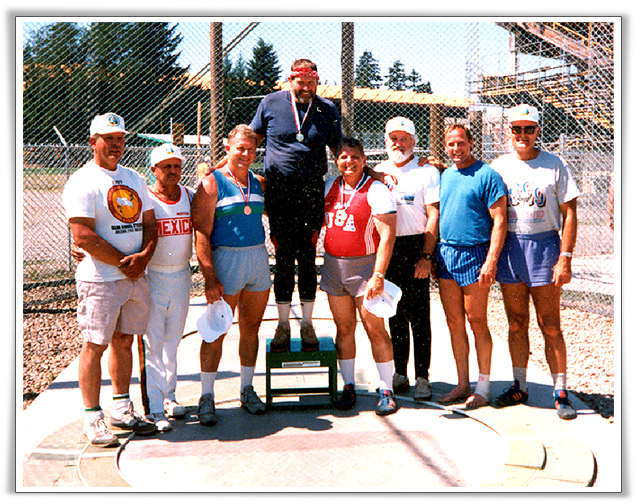 !0 months after this operation, I could show up with the first success, a bronze medal within the Winter-Throwing-Championships in Germany (Sindelfingen). Nevertheless, through this web page, we will stay in contact in the future. Austrian, Norwegians beside Americans and South Africans.